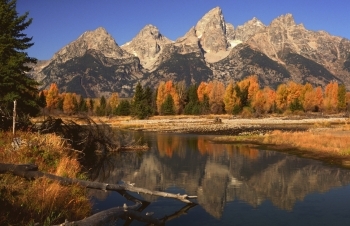 A trip to the ranch almost requires a visit to Grand Teton National Park where you’ll come across the majesty of the park’s wildlife and its mesmerizing vistas. These images explain why photographers from all over the world come here to create some beautiful pictures. We’ll share some of our favorite places along Teton Park Road to capture photographs that will astound family and friends. These locations require no hiking. This location offers one of the most iconic views of the park because it captures the Snake River and Mount Moran in one breathtaking image. You might also see moose, s wans, geese or eagles at this spot. Located just a few miles into the park from the northern entrance at Moran Junction, the best time of day is from dawn until 9 a.m. during the summer. Sunrise from this vantage point is magical and in summer and fall it is common to see more than 100 photographers at first light. The prime spots are found on the west side of the parking lot and close to the river. If you go to the river’s edge, stay low to keep yourself out of the frame of other photographers. Tip: Include plenty of water and plant life in the foreground to add depth of field and grandeur to your images. 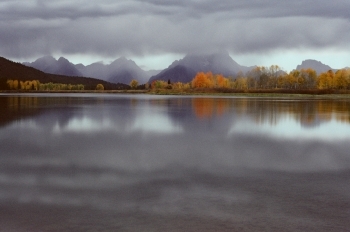 The lake provides spectacular images of the Tetons reflecting in the water during summer and fall. Signal Mountain Lodge provide easy access to the lake. North of the dam and behind the lodge, in the sage flats, is a great place in the fall to capture an image of a bulk elk bugling in the background. Tip: Morning offers the best light on the peaks and the lake water is often still for reflections. 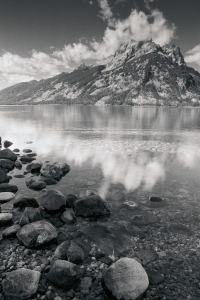 If it is breezy, try placing rocks from the shoreline in the bottom of your picture. We think this spot offers some of the prettiest photo opportunities anywhere in the park. You can capture the heart of the Teton Range reflecting in the lake and Cascade Canyon from the parking lot. However, the best images are created from the shoreline, which can be reached from a set of stairs. Nestled in the pine forest and away from the crowds at Oxbow Bend, this peaceful place may be all yours at sunrise. Tip: Look for interesting logs, rocks or formations on the shore for your focal point. Grand scenic pictures with something interesting in the foreground always make better photographs. Between the pine forest surrounding Jackson Lake and the Moose Entrance, there are several pullouts in open sage flats and meadows with each one giving you different views of the Tetons. You’re likely to see a wandering coyote or a lone buffalo in summer if you look in the flats to the east of the road. Fall will bring bull elk. Tip: If puffy summer clouds hover above the peaks at sunset, zero in on the peaks and clouds as the sun goes down. 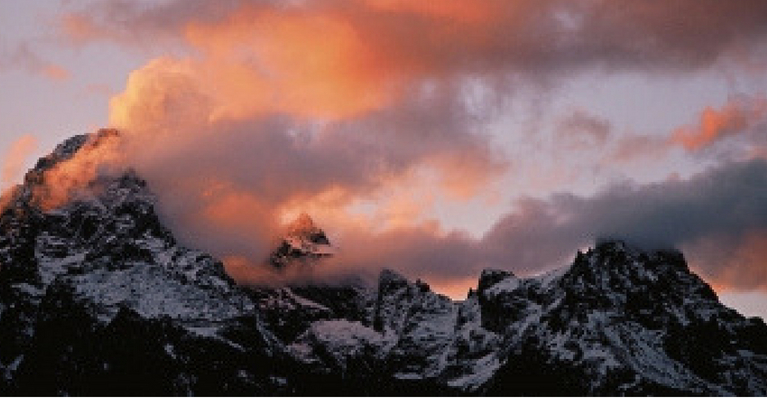 The clouds will turn many shades of red while the peaks will be black with white snow. Bring a camera. Your smartphone will not allow you to zoom in for close-ups, and you must stay 400 feet away from wildlife. Please don’t walk up to bison – it’s not safe. Use a Tripod. Landscape photography often is best in low light like sunrise and sunset and your camera will use slower shutter speeds to take a picture. Using a tripod is best for sharp, non-blurry images. Try using the Rule of Thirds. When composing a photo, don’t put the horizon or your primary subject in the middle of the photo. This will add more depth, emotion and appeal to your photo.